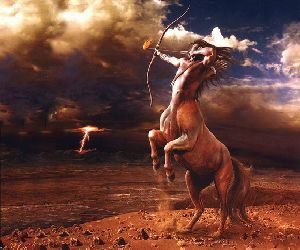 Jupiter retrograde in Sagittarius from 10 April and re-enters Scorpio on 25 April 2019. During this period, Jupiter transits on Moola Nakshatra (owned by Ketu) during 10 April 2019 (21:44 IST) – 25 April 2019 (09:03 IST) in Dhanus Rasi and then on Jyeshta Nakshatra (owned by Mercury) until 11 August 2019 (18:37 IST) and continues in Swati with direct motion till 04 November 2019 (16:41 IST. There will be noticeable changes in lives of those who have Ketu and Mercury as one of the ruling planet (either born on Wednesday, born in ascendants or moon signs of Gemini or Virgo, born with moon in Revati, Aswini, Aslesha, Magha, Jyeshta and Moola nakshatras). If you have recently started some new work and it got stuck, then these 4 months of 2019 will be best time to finish them and see results from August 2019. If Ketu or Mercury signifies benefic houses in your horoscope like 1,2,3,4,6,9,11 then expect highly positive changes to come after Jupiter goes direct again in August 2019. If you are going through Vimsottari dasa of Ketu or Mercury and planning to start any new job or project or even make huge changes to your home or business, then it is advisable to wait till second week of August 2019. Time period between April – August is not advisable for any major transactions, relocating etc as two major planets Saturn and Jupiter will remain retrograde. Mercury also goes retrograde during 08 July – 01 August 2019, which complicates things further. Jupiter and Mercury, which control finance, banking, money circulation, stock market, trading, gambling, speculation etc will remain retrograde from 8th JUly 2019. This exposes frauds and financial crimes done in the past. Economic decisions taken by governments in past can backfire to some extent. 3 Planets (Jupiter, Mercury, Saturn) will be in retrograde motion at the same time, during July 2019, which adds to confusion. Fortunes will reverse as winner can become losers and vice-versa. Jupiter Retrograde is good for those born with it in their birth charts. They can get rid of karmic baggage and balance during these 4 months. When Jupiter goes direct, they can see better results. People born with Jupiter retrograde in their natal charts tend to have different or unusual perspectives, belief systems, or sets of morals. They prefer to learn from their own experiences and reactions to them, rather than from others. Jupiter travelled through entire Scorpio (Vrischik Rasi) within 167 days. Usually it takes 360-390 days to transit a sign completely. This special motion is Atichara. In shad-bala calculation, normal chara(motion) planet gets 75% of strength, whereas Ati-Chara planet gets 50% of its strength. 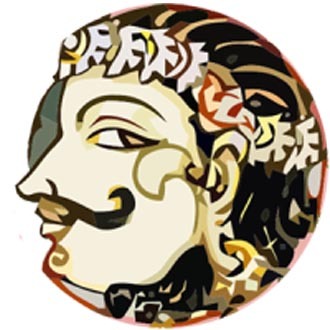 So, Jupiter in Sgittarius (Dhanus Rasi) will deliver only 50% of its results during 27 March – 25 April 2019. The rest will be delivered, after 4th November 2019. During these 4 weeks, Jupiter can cause some illusions about future to few signs. People who picked up fights for silly reasons, caused emotional or physical pain to others, or got carried away by words of others or by over-estimating their own strength, will repend after 25 April 2019. While very few mistakes can be corrected, most of them will remain irrepairable and have already caused permanent damage to their reputation and relations. People born in moon signs and Ascendants (Lagna) of Taurus, Cancer, Virgo, Sagittarius, Aquarius must avoid all conflicts during this time period. Because Jupiter is extravagant planet, it can make you go over-board and in excess. Anything in excess (food, drink, talks, travel, love etc) should be avoided when Jupiter is Retrograde and especially in Atichara motion. 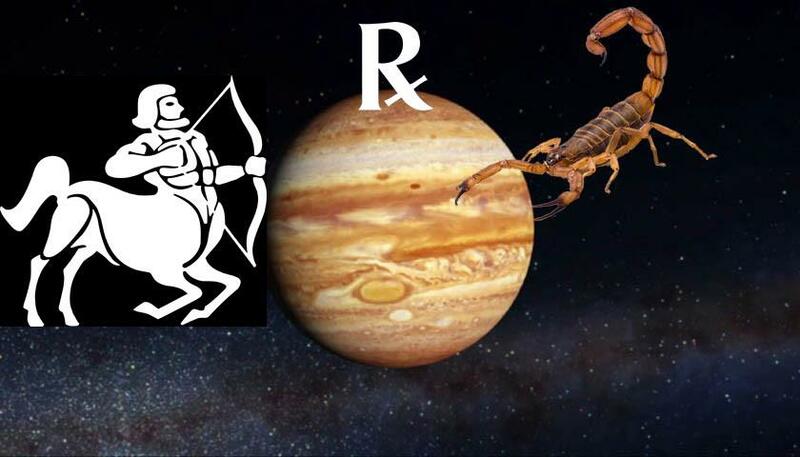 Jupiter retrograde in Scorpio (Vrischik Rasi) during 25 April – 11 August 2019 asks us to hold back emotions, passions and work on them. It is time to learn, unlearn but not exhibit. Once Jupiter goes direct on 11 August, people born in Ascendants and Moon signs of Pisces (Meena), Cancer (Karkataka), Scorpio (Vrischik), Capricorn (Makara) can have better prospects.